Turtle tattoos span multiple ranges-from cutesy to edgy, just for fun to symbolic, black and white to vibrantly colored, and even realistic to cartoonish. Why? The turtle is able to find peace within his shell, collecting thoughts and healing himself while removed from the prying eyes of the outside world. 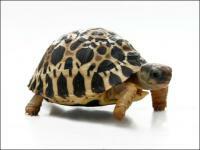 In addition, if you've ever seen a turtle plodding along a path, you know that they can only move forward by first extending their neck, then moving with patience to make "slow but sure" progress forward. Turtles embody one ideal approach to life while having the common sense to escape the rest of the world when necessary and retreat into their own shells. In addition, the turtle is a sacred symbol to North American Indians who believed that the continent was created on a turtle's back. Realistic, cartoonish, in the form of an arm or ankle band, or anything in between, turtle tattoos range from cute to slightly edgy and symbolic. 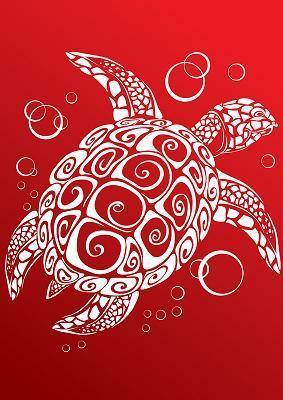 You can consider adding more to your turtle tattoo, such as additional turtles, hearts, waves, or flowers. Realistic These tattoos can be done in shades of green, brown, beige, or in black and white. They usually depict the turtle alone or in hints of his natural setting. Tattoo Johnny has a tattoo well-suited for an arm or ankle band placement that consists of multiple realistic turtles swimming in line. Cartoonish Cartoonish and cutesy go hand-in-hand when it comes to turtles. However, you could take a relatively realistic design and add bright colors (to each section of the shell, perhaps) to create a cartoonish style that doesn't scream "cute". This is great for those who love turtles, love color, but don't want their tattoo to be too youthful or feminine. Cutesy: This is the sort of design that begs for hearts, flowers, and big eyes in the turtle's face. These look great with vibrant colors that bring them to life, but black and white designs work well, too. Be sure to check out the design at Tattoo Johnny featuring two adorable turtles hugging a very large heart between them for inspiration. Edgy: These tend to have sharper lines than other styles. They're often seen in black and white or darker colors, rather than the bright shades of the cartoonish and cutesy designs. This style may also be made of geometric shapes or separate, smaller designs like the calf tattoo featured on Tattoo 22's Turtle page. Symbolic Here, you may use the turtle's shell to tell a message. A common turtle style of this nature features a peace sign as a shell. For an example, visit Tattoo-Art.com's catalog. Turtle tattoos will look right at home anywhere on your body. From a cute foot tattoo to a large, intricate scene on your shoulder or back, just choose the placement that suits your lifestyle and your turtle tattoo will never look out of place. Free Tattoo Designs has tattoo designs for you to see that are focused on Polynesian and Pacific Island designs. Tattoo Blend offers inspiration by showing turtle tattoos on others' skin. You can get ideas for placement, design, colors, and more. Tattoo Johnny has turtle designs galore for you to search through. The handy tool on the left side of the screen allows you to search by artist, color versus black and white, and size.